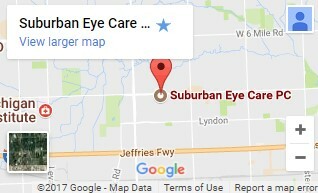 Low Vision of Michigan at Suburban Eye Care is one of only two locations in the country to pioneer this new, groundbreaking device to help low vision patients regain sight. Dr. Jacobi has trialed a groundbreaking new device with patient Harry Pierce,an 81-year-old, retired Marine. “Keeping patients functional, “says Dr. Jacobi, “is necessary to keeping them in the game of life. The more active and connected to people, the less likely patients like Harry Pierce will become depressed and isolated. It’s an ongoing discussion between my low vision patients and I, and I am grateful to Designs for Vision for continually finding new solutions that I can offer to them.” It is remarkable to have someone so full of life be optimistic about staying fully engaged in the activities he loves to do; something that Dr. Jacobi’s practice values at the core of its mission. Unfortunately, not all patients with Macular Degeneration know that these services exist. February is Macular Degeneration Awareness month. By 2020, it is estimated that over three million people will be affected by Macular Degeneration, a degenerative disease that robs its victims of their sharp, central vision. Dr. Jacobi’s practice exists to keep those with low vision as functional, safe and independent as possible. As for Mr. Pierce, he is still adding to his stories today thanks to the commitment and passion of Dr. Jacobi. For more information on Low Vision of Michigan and Dr. Jacobi, please visit lowvisionofmichigan.com or call for a telephone consultation with their Low Vision Coordinator to determine if you are a candidate for low vision care at (734) 525-8170.